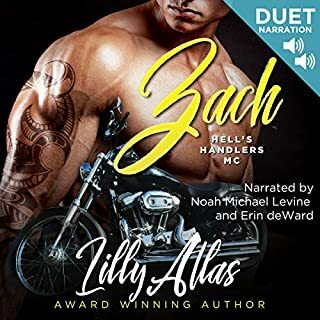 This audiobook is a steamy contemporary romance audiobook. When Peyton Francis is pressured by her real estate company into showing a house to a member of the notorious Gold Vipers, panic quickly turns to relief when she realizes the bad boy biker is sweet and not the thug she feared him to be. 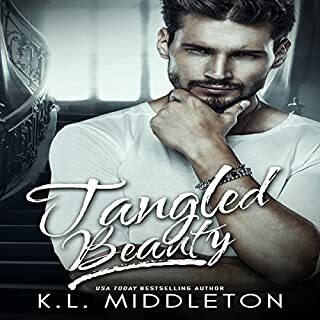 Things quickly heat up between the two, and Peyton finds herself falling for Dom, despite his turbulent lifestyle. Can their relationship survive, especially after she is targeted by his enemies, or will she cut her losses and run like hell? The story wasn't too bad, but the narrator was confusing at times. He was great for all the male roles, but it got confusing when he was narrating the female role. At times it was hard to tell who he was reading for.